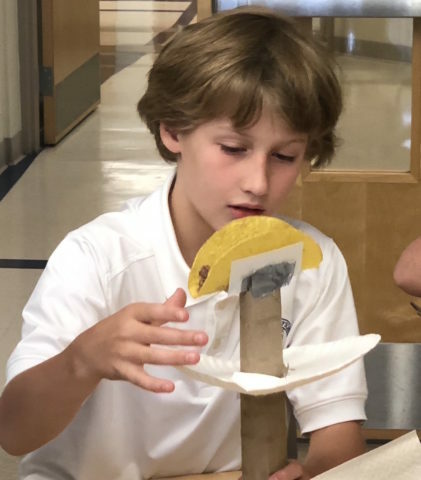 During the fourth grade science Invention Convention, a student makes some last minute adjustments to his taco-eating invention. Consider giving gifts of stock, mutual funds and other securities to Charleston Day School. To learn more about giving strategies that allow you to make a meaningful charitable gift, please contact Caroline Moore at 843.266.9797 or caroline.moore@charlestonday.org.